You are here: Home / 2015 / September / 01 / New York? Cotton? Country Life? Mississippi? I was cogitating what book to honor with the September Crappy Old Book of the Month distinction. I was thinking about doing some James Whitcome Riley Farm Rhymes and then I remembered that y’all are not super duper keen on poetry. Too bad. There’s a cultural history aspect in Farm Rhymes that needs to be explored. To be honest– and no offense to you Dear Reader– I mostly pick books I want to read. But I do have you in the back of my mind. So I asked Miss M for topical suggestions for September. I was thinking more along the lines of cotton– they’ve defoliated the fields and cotton will be big for the next month or so. But I saw her point about New York. We kicked around a few other ideas for a few minutes and Miss M was honest. She’s not going to read the crappy old book of the month posts no matter what the crappy old book is. 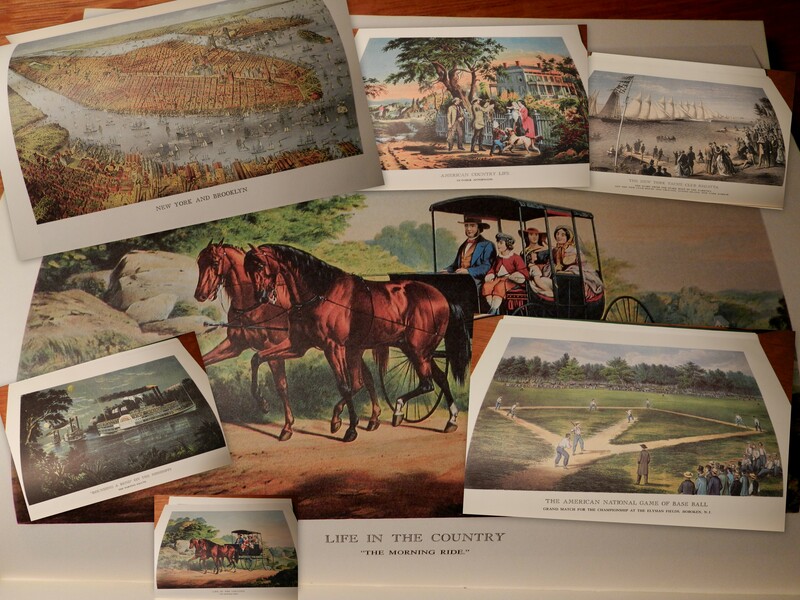 Currier and Ives: Chronicles of America. Little bit of cotton (not pictured– I want to surprise you! ), little bit of country life, some Mississippi, and some New York City from back in the day. And maybe a poem or two. We shall see if I’m in the mood for Farm Rhymes.